The human brain has a multi-level organisation and high complexity. New approaches are necessary to decode the brain with its 86 billion nerve cells, each with 10,000 connections. 3D Polarized Light Imaging, for example, elucidates the connectional architecture at the level of axons, while keeping the topography of the whole organ; it results in data sets of several petabytes per brain, which should be actively accessible while minimizing their transport. The Human Brain Project creates a cutting-edge HPC- and HPDA infrastructure to address such challenges including cloud-based collaboration and development platforms with databases, workflow systems, petabyte storage, and supercomputers. 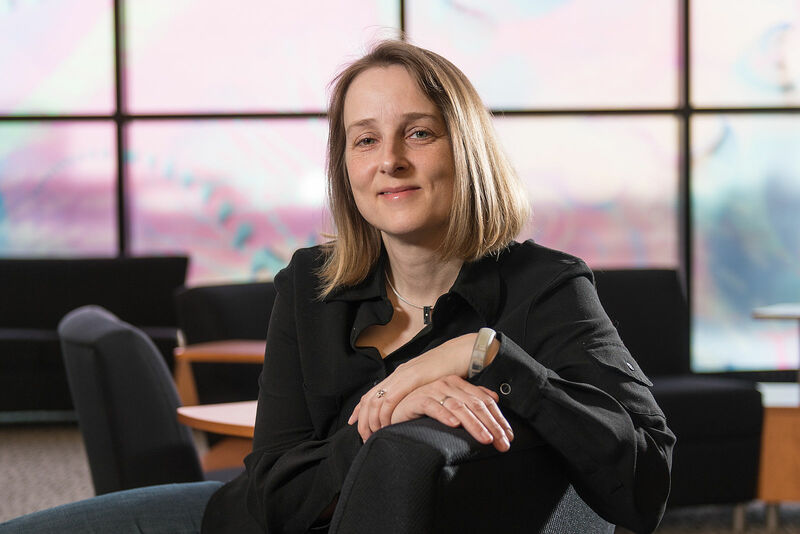 Katrin Amunts is regarded as one of the world's foremost neuroscientists in the field of brain mapping. She received a doctorate in neuroscience and anatomy from the Institute of Brain Research, Moscow, before postdoctoral study at the Cécile and Oskar Vogt Institute of Brain Research at the University of Düsseldorf. In 1999 she moved to Forschungszentrum Jülich and established a new research unit for brain mapping. She later held professorships at RWTH Aachen University, before returning to Düsseldorf in 2013, where she is director of the Cécile and Oskar Vogt Institute of Brain Research, as well as being director of the Institute of Neuroscience and Medicine (INM-1) at Forschungszentrum Jülich. 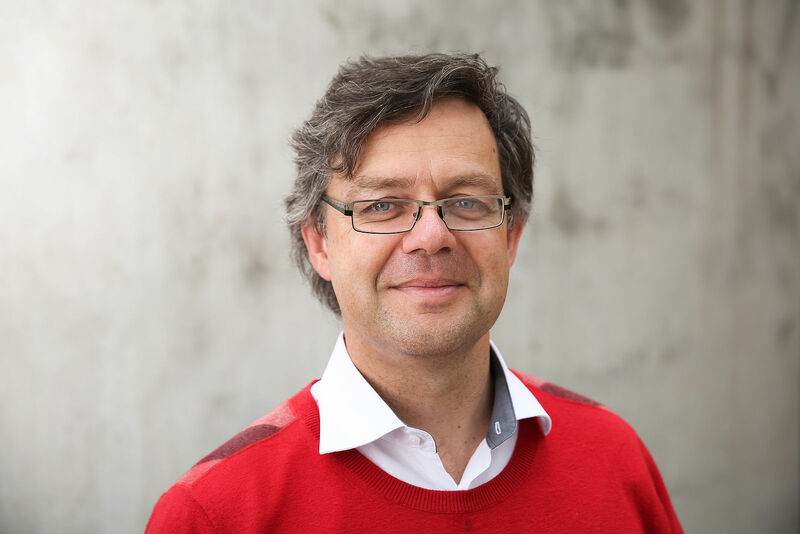 Professor Amunts is a member of the editorial board of Brain Structure and Function, and vice chair of the German Ethics Council. She is spokesperson for the Helmholtz Association programme “Decoding the Human Brain” and the Helmholtz Portfolio Theme “Supercomputing and Modeling for the Human Brain”. 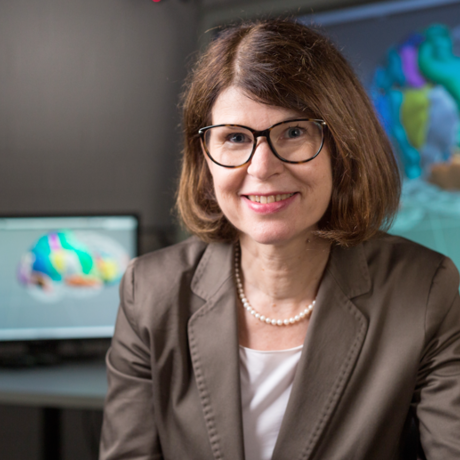 Since 2013, she has led “Human Brain Organization”, a subproject of the European Commissions flagship Human Brain Project (HBP), and was recently elected as chair of the Scientific and Infrastructure Board of the HBP. 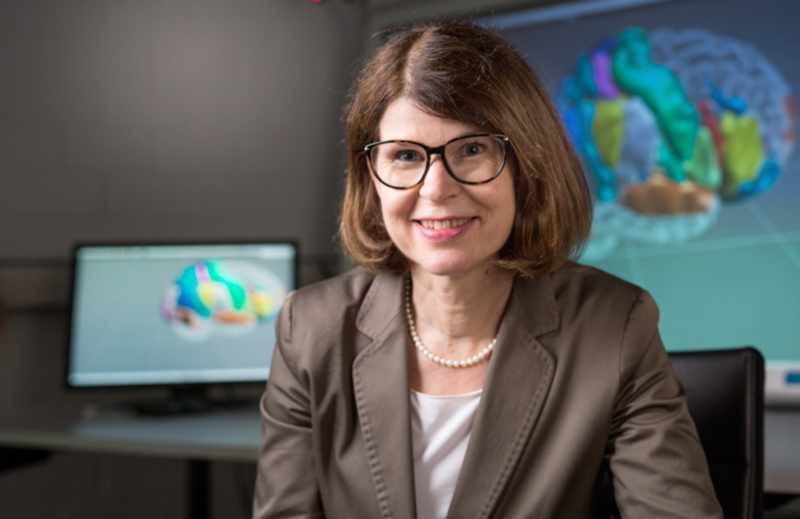 She and her team aim to develop a multi-level and multi-scale brain atlas to better understand the organizational principles of the human brain, and use methods of high-performance computing to generate ultra-high resolution human brain models. The Sunway TaihuLight supercomputer is the world’s first system with a peak performance greater than 100 PFlops and a parallel scale of over 10 million cores. In contrast to other existing heterogeneous supercomputers, which generally include both CPU processors and PCIe-connected many-core accelerators (NVIDIA GPU or Intel MIC), the computing power of TaihuLight is provided by a homegrown many-core SW26010 CPU that includes both the management processing elements (MPEs) and computing processing elements (CPEs) in one chip. This talk reports efforts on refactoring and optimizing the climate and weather forecasting programs – CAM and WRF – on Sunway TaihuLight. To map the large code base to the millions of cores on the Sunway system, OpenACC-based refactoring was taken as the major approach, with source-to-source translator tools applied to exploit the most suitable parallelism for the CPE cluster and to fit the intermediate variable into the limited on-chip fast buffer. For individual kernels, when comparing the original ported version using only MPEs and the refactored version using both the MPE and CPE clusters, we achieve up to 22x speedup for the compute-intensive kernels. For the 25km resolution CAM global model, the code scales to 24,000 MPEs and 1,536,000 CPEs, achieving a simulation performance of 2.81 model years per day. Haohuan Fu is deputy director of the National Supercomputing Center in Wuxi, and leads the research and development efforts on Sunway TaihuLight, currently the fastest supercomputer in the world. He is also an associate professor in the Ministry of Education Key Laboratory for Earth System Modeling, and Department of Earth System Science in Tsinghua University, where he leads the research group of High Performance Geo-computing (HPGC). 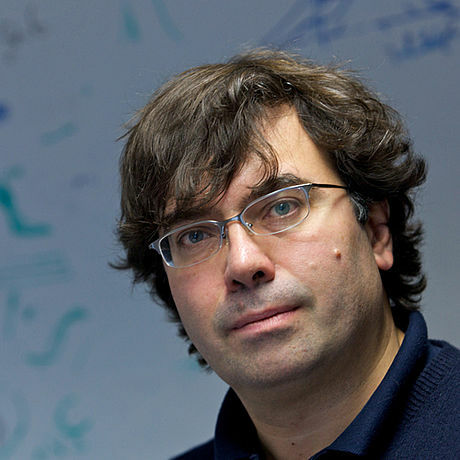 His research interests include design methodologies for highly efficient and highly scalable simulation applications that can take advantage of emerging multi-core, many-core, and reconfigurable architectures, and make full utilization of current Peta-Flops and future ExaFlops supercomputers; and intelligent data Management, analysis, and data Mining platforms that combine the statistic methods and machine learning technologies. Fu has a PhD in computing from Imperial College London. 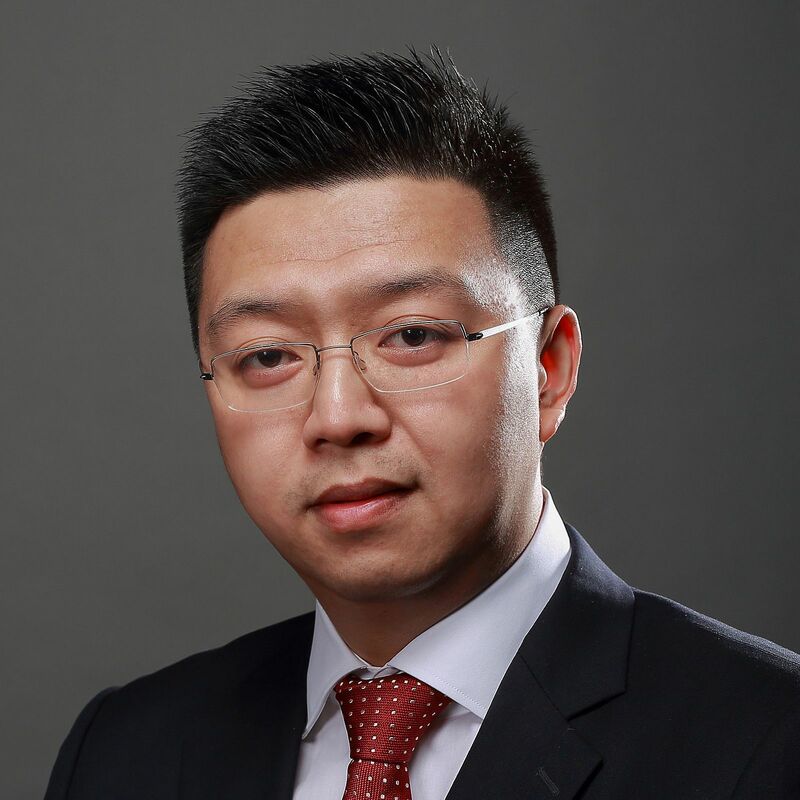 Since joining Tsinghua in 2011, Dr. Fu has been working towards the goal of providing both the most efficient simulation platforms and the most intelligent data management and analysis platforms for geoscience applications. His research has, for example, led to efficient designs of atmospheric dynamic solvers for the Tianhe-1A, Tianhe-2, and Sunway TaihuLight supercomputers, and reconfigurable computing platforms. Cosmology is in a scientifically very exciting phase. Two decades of surveying the sky have culminated in the celebrated Cosmological Standard Model. Yet, two of its key pillars, dark matter and dark energy, remain mysterious. Deep fundamental questions demand answers; to address these burning questions, survey capabilities are being exponentially improved. The new observations will pose tremendous challenges on many fronts – from the sheer size of the data that will be collected to its modeling and interpretation. The interpretation of the data requires sophisticated simulations on the world’s largest supercomputers. In this talk I will introduce HACC, the Hardware/Hybrid Accelerated Cosmology Code, which is being developed to combat the tremendous computational challenge to simulate our Universe. Katrin Heitmann received her Dr. rer. nat. in physics from the Technical University of Dortmund in 2000. From 2000-2003 she was a Postdoctoral Fellow at Los Alamos National Laboratory in the Theoretical Division. 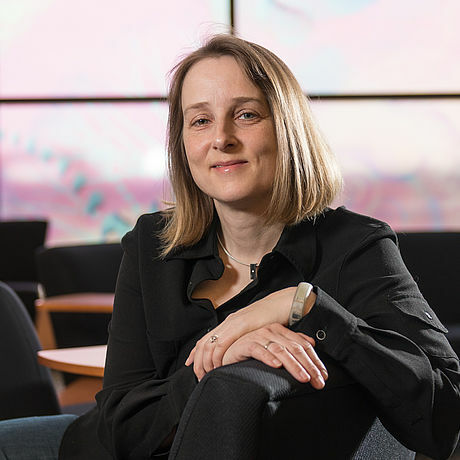 In 2004 she became a staff member at Los Alamos and in 2011 moved to Argonne National Laboratory for a joint appointment in the High Energy Physics and Mathematics and Computer Science Divisions. Heitmann is a Senior Member of the Computation Institute at the University of Chicago and the Kavli Institute for Physical Cosmology. The last decades have seen the steady and exhilarating development of powerful quantum simulation tools to describe matter at the microscopic scale. Since these simulations are performed without any experimental input or parameters, they can accelerate or replace actual physical experiments. This is a far-reaching paradigm shift, substituting the cost- and time-scales of brick-and-mortar facilities with those, very different, of computing engines. In fact, these days most countries are investing in "materials genome initiatives" aimed at accelerating the discovery of novel materials using quantum simulations, with a focus on solving our most pressing societal problems - from solar energy harvesting to transportation to information-and-communication technologies. The talk offers a perspective on the current state-of-the-art in the field, its power and limitations, and on the role and opportunities for novel models of doing computational science - leveraging big data or artificial intelligence - to conclude with some examples on how quantum simulations are accelerating our quest for novel materials and functionalities. Nicola Marzari holds a degree in physics from the University of Trieste (1992) and a PhD in physics from the University of Cambridge (1996). He moved to the US in 1996, first as a NSF postdoctoral fellow at Rutgers University (1996-98) and then as a research scientist at the Naval Research Laboratory (1998-99) and at Princeton University (1999-01). In 2001 he was appointed assistant professor of computational materials science at the Massachusetts Institute of Technology, where he was promoted to associate professor in 2005 and to the Toyota Chair of Materials Engineering in 2009. In 2010 he joined the University of Oxford as its first Statutory (University) Professor of Materials Modelling and director of the Materials Modelling Laboratory. 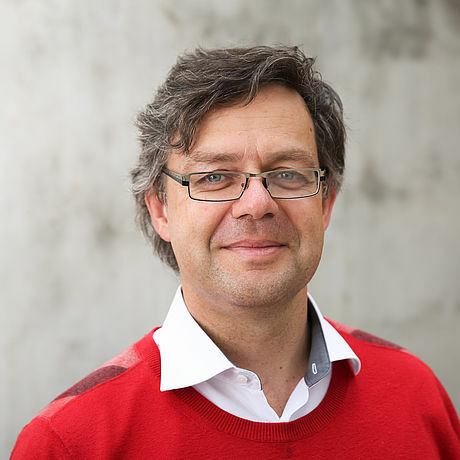 He moved to EPFL in 2011, as chair of Theory and Simulation of Materials; from 2014 he also directs the MARVEL National Centre of Competence in Research on Computational Design and Discovery of Novel Materials. A century after the development of quantum mechanics we have now reached an exciting time where computational devices that make use of quantum effects can be built. Quantum random number generators, analog quantum simulators and quantum annealers are already commercially available and work on quantum computers is accelerating. First demonstration quantum computers exist today and devices with computational powers beyond that of any imaginable classical computers seem just over the horizon and feasible within the next few years. Following an introduction to the exceptional computational power of quantum computers using analogies with classical high performance computing systems, I will discuss real-world application problems that can be tackled on medium scale quantum computers but not on post exa-scale classical computers. I will motivate hardware software co-design of quantum accelerators to classical supercomputers and the need for educating a new generation of quantum software engineers with knowledge both in quantum computing and in high performance computing. Matthias Troyer is a Principal Researcher in the Quantum Architectures and Computation Group at Microsoft Research. He is a Fellow of the American Physical Society, a Trustee of the Aspen Center for Physics, and recipient of the Rahman Prize for Computational Physics of the American Physical Society. After receiving his PhD in 1994 from ETH Zurich he spent three years as postdoc at the University of Tokyo before returning to ETH Zurich. There he has been professor of Computational Physics until taking leave of absence to join Microsoft’s quantum computing program. PASC is a structuring project supported by the Council of Federal Institutes of Technology (ETH Board), coordinated by the Università della Svizzera italiana (USI) and the Swiss National Supercomputing Centre (ETH Zurich / CSCS). Please click the link below for more information on past editions of the PASC Conference.